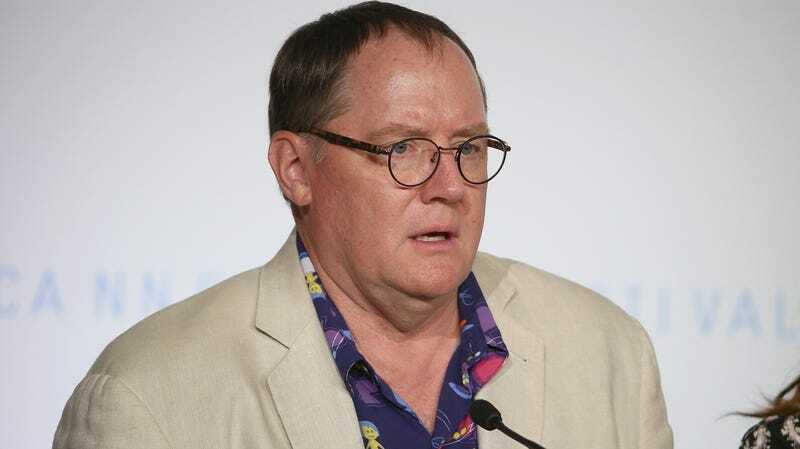 John Lasseter speaking at an Inside Out press conference. When news broke last week that John Lasseter, who left his position as chief creative officer at Disney and Pixar following allegations of sexual misconduct, had been hired by Skydance Media to head up its animation department, a number of animators working in the industry expressed their dismay at the seeming lack of consequences for the disgraced executive. A large part of the strangeness surrounding Skydance’s decision to hire Lasseter is Skydance CEO David Ellison’s insistence that he’s committed to ensuring that the studio is a safe working environment for all its employees. I am deeply sorry for my actions, which were unquestionably wrong. I very much regret making women feel unsafe or disrespected. I will continue to work every day for the rest of my life to prove to you that I have grown and learned. I am resolute in my commitment to build an animation studio upon a foundation of equality, safety, trust and mutual respect for everyone. Despite Ellison and Lasseter’s words, the fact of the matter is that Lasseter’s admitted actions (though left vague by the man himself) and his appointment to a new job so swiftly after doing nothing to make up for his actions sends a very negative message—and an executive at another studio is speaking out. On Monday, the Hollywood Reporter noted Mireille Soria, the head of Paramount’s animation division, announced at yet another town hall that the studio would no longer collaborate with Skydance specifically because of Lasseter’s presence there. THR says Soria’s decision is particularly notable because of the first-look marketing and distribution partnerships between Skydance and Paramount. Luck, a film about a battle between the forces responsible for good and bad fortune, is the first project to come out of an informal collaboration between Paramount and Skydance and would also be the first to potentially be affected by Soria’s move. In all likelihood, this stance regarding Skydance isn’t going to directly affect Lasseter’s position at the studio, but it sends a powerful message to the industry as a whole that some people are paying attention and willing to put their money where their mouths are when it comes to taking allegations of sexual impropriety seriously. What will be interesting to see now is whether other studios follow suit.